With the rise of Donald Trump, fake news hit the West with such surprising ferocity that it’s easy to forget how long Russia has been filling its own airwaves and newspapers with preposterous propaganda – and how easy the West has it by comparison. Since Trump’s upset victory on November 8, Russian state media have reported that Bellona’s Alexander Nikitin has conducted secret conclaves for ecologists to foment the overthrow of the government and sneak nuclear secrets out of the country to Norway in exchange for sacks of foreign currency. Nadezhda Kutepova, another Russian environmentalist, has been basking in self-imposed exile in France, bikini-clad on the prow of a yacht while she smugly cashes checks from the US State Department for soiling the reputation of the Mayak Chemical Combine in a documentary film. Except that neither of them have done any of this. On November 11, Russian Channel 5’s Segodnya evening news broadcast ran a segment featuring Alexei Bagin and his cameraman staking out what Bagin called a secret conference hosted by Bellona near St. Petersburg. The camera is held as if Bagin were participating in a drug bust. Bellona is meanwhile conducting its annual gathering. “Meet Alexander Nikitin, leader of the St. Petersburg cell,” runs Bagin’s voiceover. Nikitin turns his back. What follows is quick-edit footage cribbed from YouTube of Nikitin’s court appearances during his late 1990s espionage trial for contributing to Bellona’s seminal report on Naval nuclear waste. Bagin neglects to mention that Nikitin was acquitted in 2000. Other footage lingers on pastries served during the conference’s coffee break while Bagin holds forth on the foreign-financed catering. Later shots focus on a frail, bespectacled man whom Bagin says is calling for revolution. Then Bagin charges that the environmentalists are talking over a secret report about military bases interrupting the migratory patterns of cloven-hoofed animals, though why anyone would keep such a report secret, or indeed write it at all, remains unsaid. Segodnya’s big break comes when Ivan Blokov of Greenpeace Russia claps an empty coffee cup over the camera lens and Bagin rushes off to complain to the police that he and his crew have been roughly handled by the environmentalists. “Perhaps representatives of foreign NGOs behave so insolently because they depend on someone’s funding from abroad,” Bagin tautologically thunders before falsely telling his viewers that Nikitin, a Russian national, is a citizen of Norway. 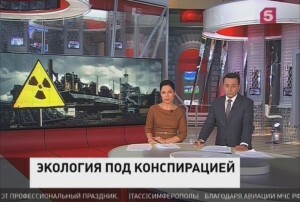 The purpose of this theater in news broadcast drag became clear a week later when Russia’s Justice Ministry declared the Environmental Rights Center Bellona a “foreign agent,” the government’s term of war for non-profits that get any of their funding from other countries. Bagin introduced his dispatch by calling Bellona a foreign agent well in advance of the organization landing on the blacklist. When viewed in that perspective, Bagin actually did land quite a scoop. 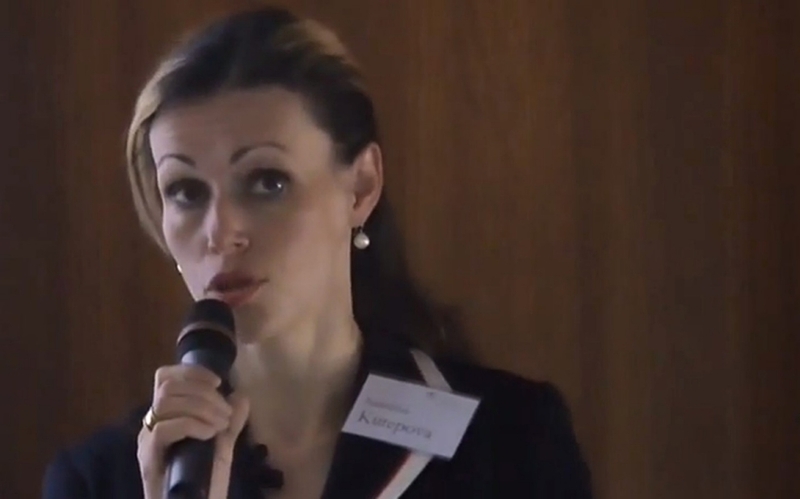 Kutepova, whose NGO Planet Nadezhd, or Planet of Hopes for many years offered legal assistance to residents in the closed nuclear city of Ozersk, knows the value of such scoops. In April 2015, her group landed on the foreign agent list because it received a $44,000 grant from the US-based National Endowment for Democracy in 2008, four years before the foreign agent law existed. In May that year, the Vesti evening news program on the state controlled Rossiya 1 aired an accusation that Kutepova was a spy and showed footage of her home, where she lived with her three children, then aged 14, 11 and seven. 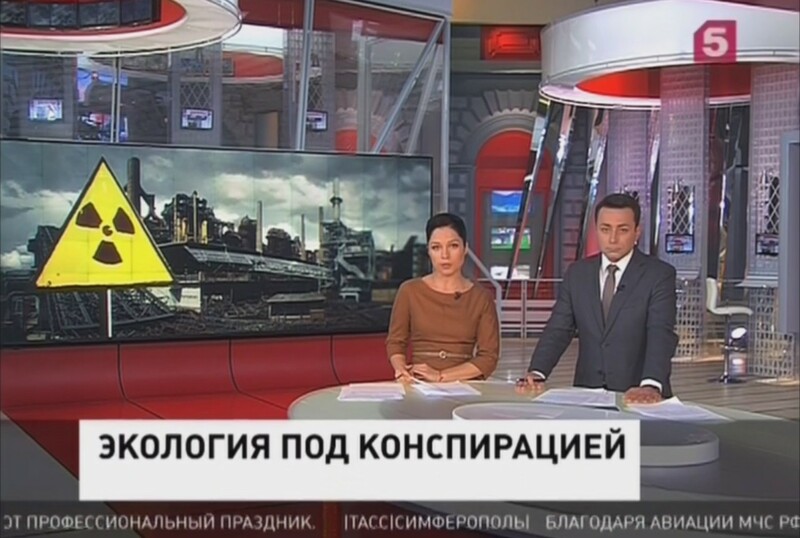 Local newspapers followed Rossiya 1’s jeering lead. 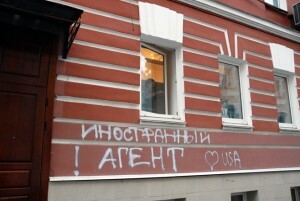 By June, local prosecutors said they were looking into her organization on suspicion of treason. Her attorney advised her to leave the country and she did. She landed in France where she received political asylum and lodged a libel suit against Rossiya 1. Last week, that suit was thrown out, and Kutepova made another appearance in her hometown paper, this one showing a great deal more of her than she would have liked. Accompanied by a photo of Kutepova sunbathing on a boat, the article describes a documentary on the Mayak Chemical Combine in which Kutepova appeared, and sneeringly traces a web of foreign payments supposedly funneled to her in exchange for her damning testimony. Then there’s the added sexist predation of portraying Kutepova as both dissolute and an “innocent lamb.” You can almost hear the anonymous reporter behind the absent byline drool. Nikitin, in Bagin’s slander, at least got to maintain his past military service to buttress his credibility as a spy. Getting anyone in the US to believe Pope Francis endorsed Trump, or that Hillary Clinton was part of a child prostitution ring run out of a DC pizza joint were always longs shots that still had a few credulous takers. 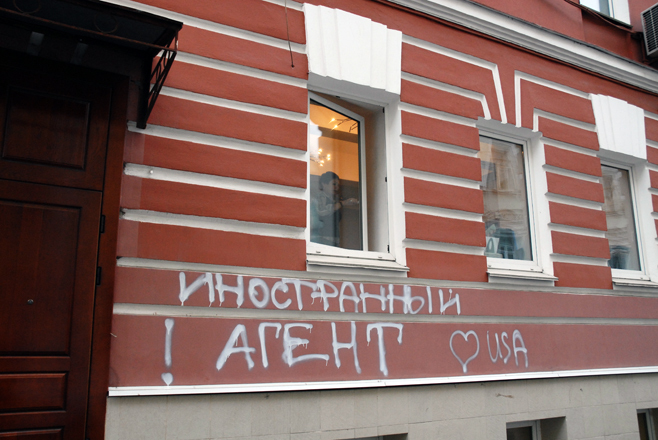 But in Russia, fake news broadcasts and phony newspaper reports tend to prognosticate gospel truth: The Environmental Center Bellona has closed down since being labeled a foreign agent just as surely as Kutepova would eventually have been charged with treason. With Vladimir Putin beginning his unchallenged run for a forth presidential term in 2018, the state’s broadcasters will again be asking Russians to hear hoof beats in the sound of approaching unicorns. Non-profits in Russia would do well to hear horses.